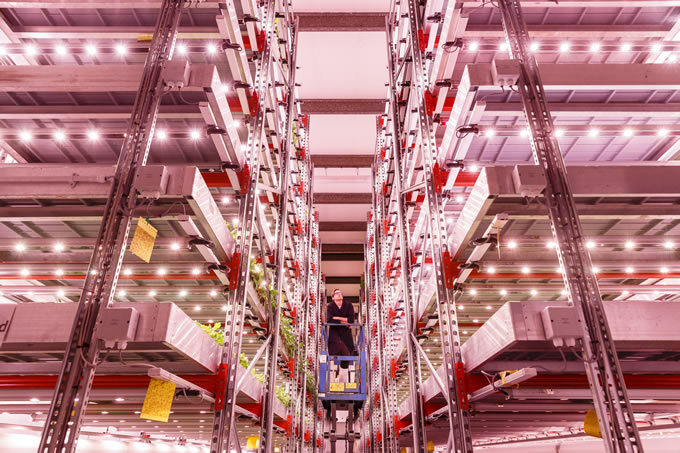 Is there a business case for widescale commercial vertical farming in the UK or will it remain a niche opportunity for high-end restaurants and retail? This is the challenge to be discussed by early adopters at the Agri-Tech East conference ‘Innovating for Controlled Environment Agriculture’ next month (19 March). Advances in logistics and the falling cost of LED lighting may enable year-round growing of undercover produce in the UK, but will energy costs and technical issues delay scale-up and integration within the food supply chain? Agri-Tech East is a business-focused membership organisation that is supporting the growth of a vibrant agri-tech cluster of innovative farmers, food producers & processors, scientists, technologists and entrepreneurs. Agri-Tech East brings together organisations and individuals that share a passion for improving the productivity, profitability and sustainability of agriculture. It aims to help turn challenges into business opportunities and facilitate mutually beneficial collaboration.